The Philly Enterprise Hackathon is a community effort put together by a group of entrepreneurs, developers, venture capitalists, and enterprise companies that all focus on the Enterprise―and who believe that Philadelphia is the natural place to build an enterprise software company. Contact us if you want to help organize or sponsor! 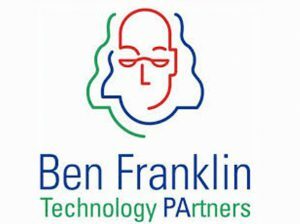 Ben Franklin Technology Partners of Southeastern Pennsylvania (BFTP/SEP) is celebrating its 30th year of helping our region’s talented entrepreneurs bring their Dreams to Reality. Delaware River Water Alliance (DRWA), coordinated by BFTP/SEP, is the first tri-state public/private partnership created to accelerate the commercialization and deployment of innovative water quality and infrastructure products, serving residential and industrial use markets. NextDocs is the global leader in providing compliance software solutions including quality management software, regulatory document management, and clinical portals. NextDocs solutions enable businesses in regulated industries to achieve compliance with FDA and other agencies while automating processes, improving efficiency, and dramatically reducing costs. NextDocs’ customers include pharmaceutical companies, biotechs, medical device companies, and CROs. For more information on NextDocs Corporation and its software solutions. Launched in 2006, Amazon Web Services (AWS) began exposing key infrastructure services to businesses in the form of web services — now widely known as cloud computing. Amazon Web Services provides a highly reliable, scalable, low-cost infrastructure platform in the cloud that powers hundreds of thousands of enterprise, government and startup customers businesses in 190 countries around the world. AWS offers over 28 different services, including Amazon Elastic Compute Cloud (Amazon EC2), Amazon Simple Storage Service (Amazon S3) and Amazon Relational Database Service (Amazon RDS). AWS services are available to customers from data center locations in the U.S., Brazil, Europe, Japan and Singapore.